This weekend I was invited to Montserrat to present my latest book, Fury on Soufriere Hills (now on sale on Amazon btw) to the Montserrat Public Library. that has been growing & collapsing since November 1995. 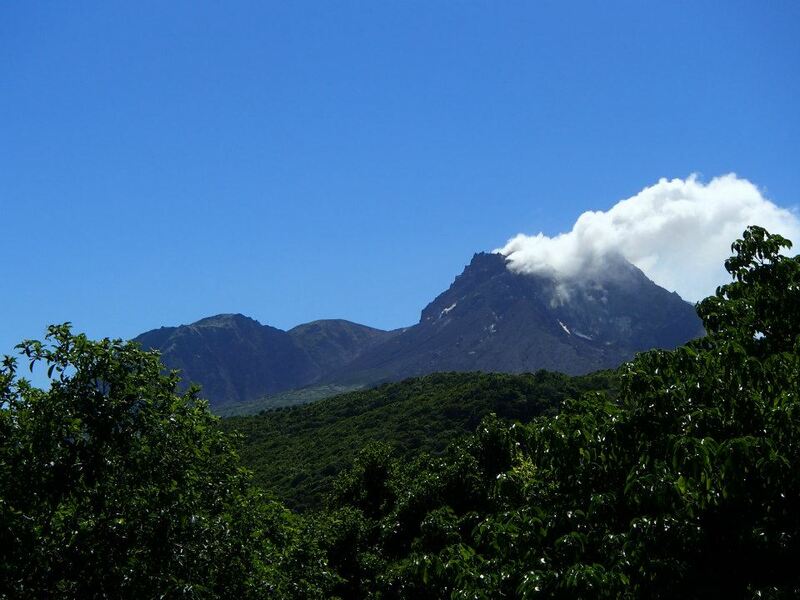 Montserrat is home to an active volcano which began erupting 17 years ago and has rendered almost two-thirds of the island inhabitable. This volcano features prominently in Fury on Soufriere Hills hence my invitation to the library. Given that the island is only 102 square kms in area, I could not imagine how any part of it could be considered safe and I must confess that I was a little nervous about the trip. However, a discussion with the director of the Montserrat Volcanic Observatory, Roderick Stewart, allayed my fears. Soufriere Hills is an unusual volcano in many ways and I highly recommend reading up about its special quirks and features. My visit to the library was wonderful. Writing is a solitary pursuit and for a social animal like me, these connections with my audience always have a significant impact on me and on my future writing. About twenty children turned out for the reading and we discussed, among other things, the differences between the way the Caribs in my book learnt about and responded to the volcanic eruption and the way that the people of Montserrat responded today. The children were very excited about reading ‘Fury’. The librarian barely had a chance to put the library’s stamp on it before it was borrowed. My next stop in Montserrat was at Uncle John’s restaurant for a bowl of goat water, Montserrat’s delicious national dish. From there I went up to the Monsterrat Volcanic Observatory. This visit was very informative and it was great to learn about how the staff used technology to monitor the volcano around the clock, but I secretly wanted to see firsthand the impact that the volcano had on Montserrat’s capital city, Plymouth. I got my wish when I was able to cross the Bellam Valley and look at the remains of Plymouth from the top of some nearby hills. While on Montserrat I stayed at the Olveston House which I highly recommend for a stress-free vacation spot. It is interesting in that it is owned by Beatles producer, Sir George Martin and his family. For many years, Olveston House hosted renowned artists who came to Montserrat to record at the famous AIR Studios. Among these artists were Sting, Eric Clapton, Elton John and Paul McCartney. Even more alluring for me was the peaceful, casual atmosphere, the charming hostesses and the food which I swear was more delicious each day. I ended my visit to Montserrat with a sip from the spring waters on my way to the airport. I am told that this guarantees that I will visit again and I sincerely hope so.